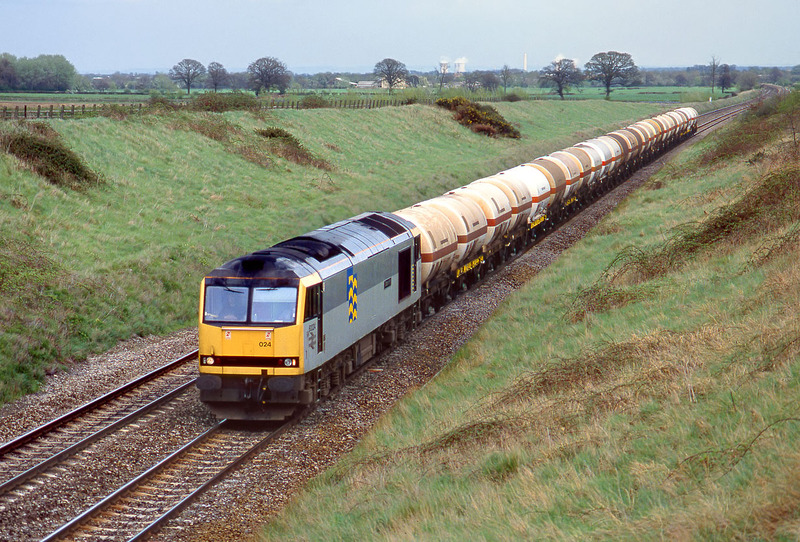 60024 Elizabeth Fry passes Baulking on a very dull 21 April 1992 with the 6V13 12:18 Furzebrook to Hallen Marsh LPG tanks. This wide open view, with unobstructed views of the surrounding countryside (and Didcot Power Station in the distance!) has long since been replaced by the usual mass of uncontrolled lineside vegetation.